I am so ready to go, and every day I want so badly to be making a difference in the world, I just don’t know what the next step is. My wife and I are looking for some coaching help. My wife and I were burned some 20 years ago and are still trying to regain the confidence needed to get back in the game. I want to find a career that I will be happy that makes a specific salary. I know that I would like to NOT be in sales. In this episode of the 48 Days Podcast, Dan centers the conversation around the difference between activity and accomplishment, and explains why it’s very dangerous to confuse the two. He also takes a number of questions from the 48 Days community, and works tirelessly to help one young woman understand the soul and the value of selling. If you’ve ever doubted the maxim selling is service then this is one episode you won’t want to miss. Would you consider being my friend? 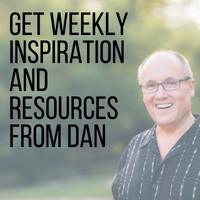 12:47 – From Rick – I wanted to reach out to you and thank you for your wisdom every week…I have a new passion for audio editing and am considering using it as a means to supplement my income…do you think this is a good idea? 17:08 – From Justin – I wrote you a while back about finding my passion, which I eventually realized was right in front of me. What I was really lacking was direction…I’ve always been a creator, and I think content creation is what I need to do…but I can’t figure out why I keep hitting a roadblock. Can you help me figure out what the next step is? 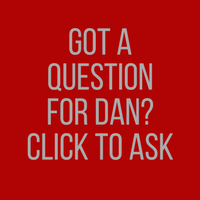 22:20 – From Danny – My wife and I were looking for some coaching help…can you provide some advice on how to select a coach? What have you been doing for 20 years?! We’ve all been burned, it happens to everyone. But the only way to get out is to start climbing. One of the things we see in people who end up extremely wealthy? 35:40 – From Angie – Dan I took your entrepreneurial quiz (Do You Have What It Takes To Be An Entrepreneur?) but I only scored 60 points! My lowest scores were “dealing with change” and “self-discipline”…how do I improve my scores? 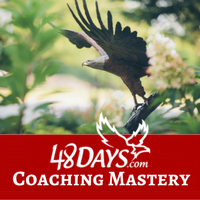 41:37 – From Lauren – I just finished 48Days to the Work You Love, AND the workbook and I’m still not any clearer on what direction I’m heading…help! Basically, I want to find a career that I’ll be happy with in the Oklahoma City area with a specific salary, and I do NOT want to be in sales. 47:30 – Sell. Hold your head high. Selling is the best way to serve other people well. No matter what it is you do, if you’re serving people well, you’re selling them something. Selling is the best way to serve others. Period. We all get burned. All of us. No one is immune from it. So, when you get burned, pick yourself up, get back in the saddle, and start creating wealth for yourself again. More often than not, the fortune isn’t in the primary opportunity, but the ancillary opportunity.